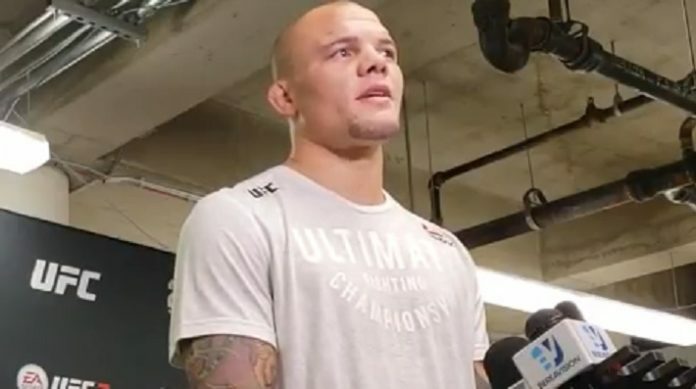 Anthony Smith can’t picture a scenario where a win over Volkan Oezdemir doesn’t give him a shot at the Ultimate Fighting Championship (UFC) light heavyweight title. Smith is set to do battle with Oezdemir in the main event of UFC Moncton. The action will be held inside the Avenir Centre in Moncton, New Brunswick, Canada on Oct. 27. This will be the first UFC headliner for Smith and Oezdemir. Jon Jones and Alexander Gustafsson are set to compete for the UFC light heavyweight title in the main event of UFC 232. The championship tilt will take place inside the T-Mobile Arena in Las Vegas, Nevada on Dec. 29. Do you think Anthony Smith will receive a UFC light heavyweight title shot if he defeats Volkan Oezdemir?